J.A. 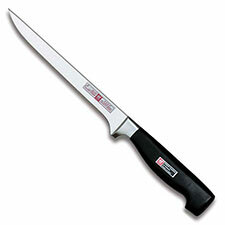 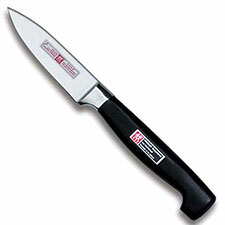 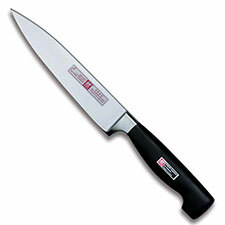 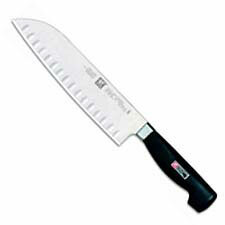 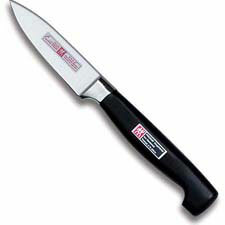 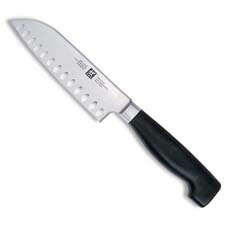 Henckels Four Star up-scale kitchen knife series features high impact polypropylene handles that meet all government regulations for hygienic food processing, and ice hardened, drop forged, stainless steel blades. The J.A. Henckels Four Star Kitchen Knife line runs the gamut from the smallest of paring knives to the largest of Chef's knives and most every conceivable kitchen knife in between.